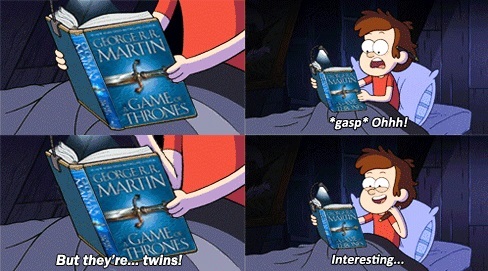 Gravity Falls funny. . Wallpaper and background images in the Gravity Falls club tagged: photo gravity falls disney dipper and mabel pines funny pinecest pinescest game of thrones parody. This Gravity Falls photo might contain سائن ان کریں, پوسٹر, متن, چاکبورڈ, نشانی, and تختۂ چاک.